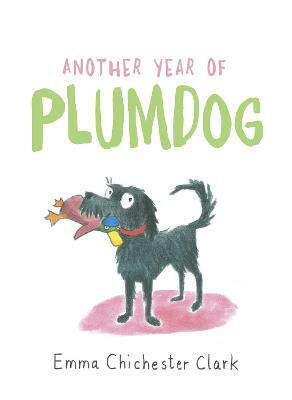 In 2014 Cape published Plumdog, a year's worth of entries from the author's blog of the same name which records the daily life of Plum, her dog, in Plum's own words and Emma's delightful illustrations. It was seized on by dog lovers everywhere and became the bestselling book writ... read full description below. In 2014 Cape published Plumdog, a year's worth of entries from Emma Chichester Clark's blog of the same name which records the daily life of Plum, her dog, in Plum's own words and Emma's delightful illustrations. It was seized on by dog lovers everywhere and became the bestselling book written by a dog of that year...Indeed quite possibly since records began. Another Year of Plumdog is exactly what it says: another year of leaping, catching balls, diving into rivers, puddles, the North Sea, and hanging out with friends. Emma Chichester Clark is one of Britain's best loved children's authors and illustrators. She is the author of the immensely popular Blue Kangaroo series and many other books, and has illustrated books by Roald Dahl, Kevin Crossley-Holland, Peter Dickinson, Michael Morpurgo and, most recently, Quentin Blake.